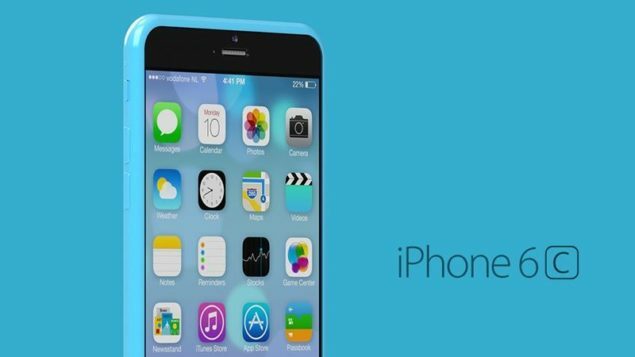 According to a reliable source, the iPhone 6s, iPhone 6s Plus and iPhone 6c will ‘all arrive concurrently’ this year. The source in question is none other than Evan Blass, otherwise known as Evleaks on Twitter, and has a strong track record when it comes to leaking upcoming, unannounced hardware. And this time around, the famed leaker claims that the iPhone 6s, iPhone 6s Plus and the iPhone 6c will all launch side by side. Or in other words, the iPhone 6c is definitely happening and will be announced alongside Apple’s flagship iPhone 6s devices. The iPhone 6c has proven itself to be a unicorn thus far in the tech world, with different sources chiming in at different points in time claiming whether or not the device would make the cut this year. Many famed analysts have claimed that the iPhone 6c won’t happen this year, and Apple’s strict focus is on the upcoming iPhone 6s flagship duo, while some analysts believe otherwise. We have had different iPhone 6c related leaks in the past, with a recent one claiming to show the battery unit of the fabled handset. Furthermore, it’s also believed that the handset will utilize FinFET chips. It would be a very interesting move on Apple’s end if it releases the iPhone 6c this year, as it would be the first time in history that the company would debut three brand new iPhones in one fell swoop. At the iPhone 5s event, the world was surprised by the launch of two new iPhones, but Apple broke its new set mantra right next year when it announced the iPhone 6 and iPhone 6 Plus with no plastic laden iPhone in sight. Still, we believe all of that could change this year, given that we take Evan Blass’ word as gospel. The iPhone 6s and iPhone 6s Plus on the other hand are going to be evolutionary upgrades over the iPhone 6 lineup of devices, and will mainly feature under the hood changes with little to no external aesthetic makeovers. Internally, the devices are rumored to feature a faster A9 chip, a Force Touch display, better camera modules, and to top things off, won’t feature Bendgate, thanks to Apple utilizing a thicker rear shell this time around. Whatever Apple announces at its September event, we’ll have it covered right here. To read more about what the new iPhone 6s might bring with it, be sure to check out: iPhone 6s Specs, Rumors, Features, Price, Release Date [Complete Roundup].